German sculptor and collector. He received his initial artistic training (1771-80) at the Militärische Pflanzschule in Stuttgart, where he revealed a talent for drawing and sculpture. His most important tutors were the Belgian sculptor Pierre Franois Lejeune (1721-90) and the French painter Nicolas Guipal, an admirer of Mengs. 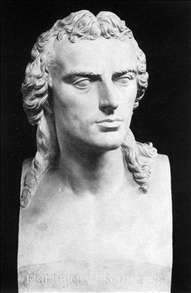 Also of great importance to Dannecker were friendships with his fellow sculptor and rival Philipp Jakob Scheffauer (1756-1808), with the painter Philipp Friedrich Hetsch, and above all with the German writer Friedrich Schiller, who had a decisive influence on Danneckers intellectual development. In 1780 Dannecker was appointed court sculptor at Stuttgart and was thus obliged to decline later offers to work in Dresden, St Petersburg and Munich. His first undertaking was to complete sculptural sketches by others, for example Lejeune. 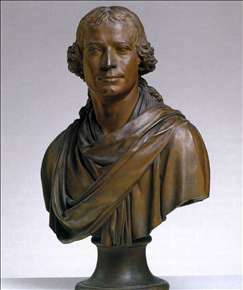 From 1783 to 1785 Dannecker visited Paris to study with Augustin Pajou and there came to know the virtuoso portrait sculpture of artists working under Louis XVI. He then went on foot to Rome, where he remained for four years. Because of his enthusiasm for antique art, he was soon known as il Greco . He cultivated the acquaintance of the Swiss sculptor Alexander Trippel, the antiques restorer and dealer Capvaceppi, and, most important of all, the already well-established Italian sculptor Antonio Canova. The classical outlook favoured by Canova had a decisive effect on Danneckers subsequent work. In 1790 Dannecker returned from Rome and never left Stuttgart again. He was appointed professor at the academy. 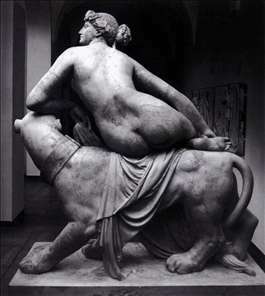 Although he was not a free artist, it was nonetheless a work that he placed on the art market that would be his masterpiece: Ariadne on the Panther. 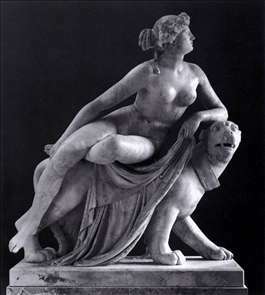 Dannecker had been preoccupied with this subject around 1800, he finished a clay bozzetto in 1803, and the marble version was executed in 1812-14. See more details about "Ariadne on the Panther (front view)"
See more details about "Ariadne on the Panther (rear view)"
See more details about "Bust of Schiller"